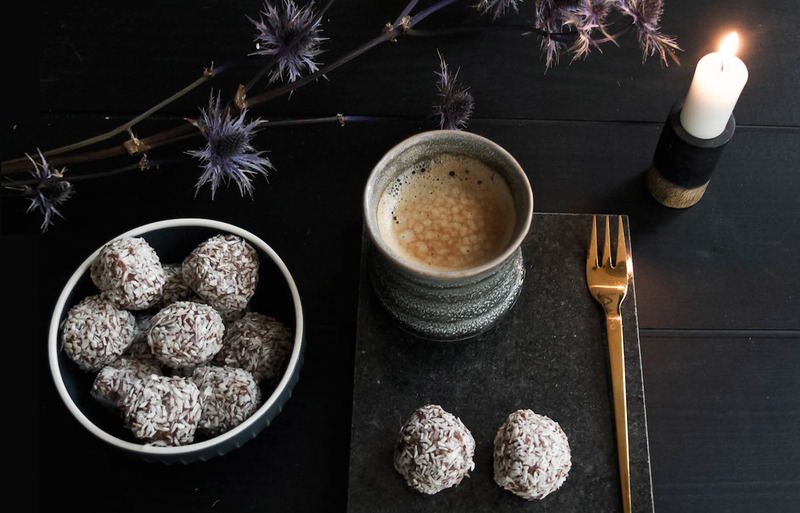 Do Christmas the Danish Way with Anya from The Simply Danish Living blog, a veritable compendium of all things hygge. 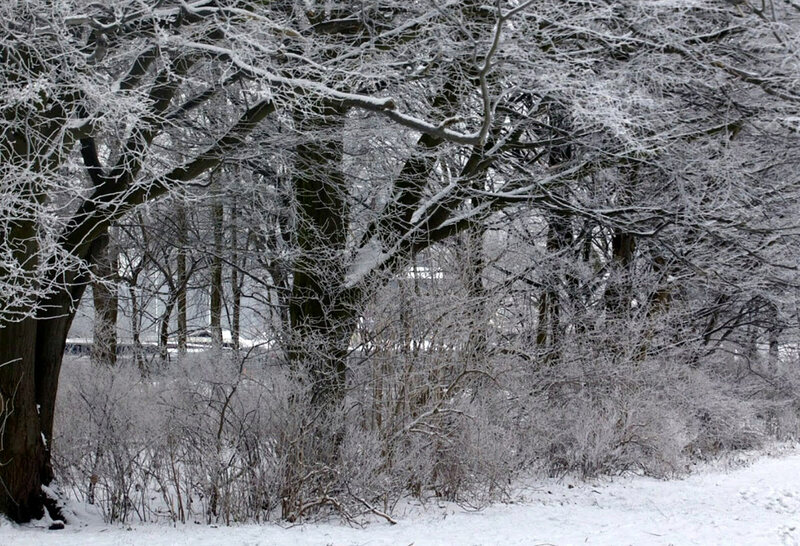 We are lucky to have author Anya explain what makes December in Denmark so special. Touched upon is the importance of spending time with family outdoors, of cultivating traditions and togetherness, and of course, glugging gløgg. In Denmark, we are masters of finding ways to enjoy the darker months. Unsurprising because, from about late October until March, it gets dark around 3:30pm and the temperature rarely climbs above 0 degrees. We have a saying: “There is no such thing as bad weather, only bad clothing” and, whether it’s snowing, raining or just really cold, we apply this to the way we stay active during wintertime. When it snows, many people flock to the first hill they can find and enjoy sleighing (kids and adults alike! ), or go ice-staking in some of the many free outdoor ice-rinks. Everyone makes sure they wrap up warm, but we still all end up with rosy cheeks and a runny nose! Afterwards, there is nothing better than coming back home, making some hot cocoa or tea, and sitting together watching a movie, reading, or playing a board game. 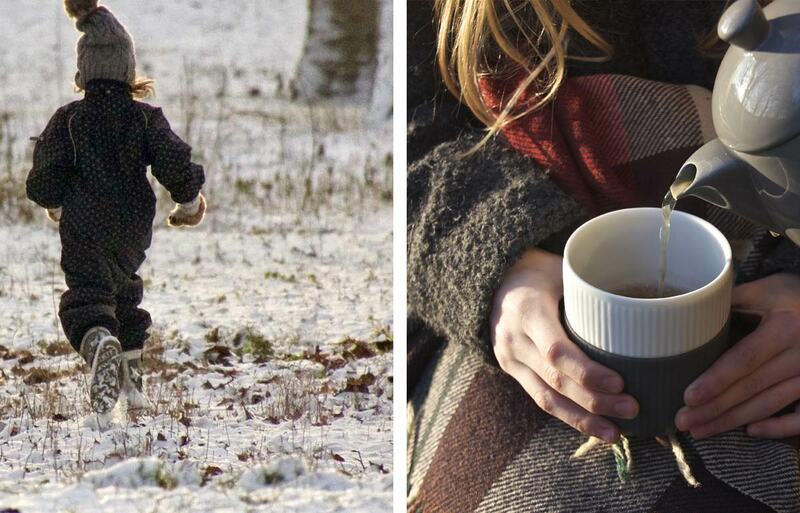 The Muuto Push Coffee Maker and Normann Copenhagen Geo Vacuum Jug are our choices for warming up and getting toasty after a day out sleighing. December is always a favourite month of ours; there is a hustle and bustle as we get busy preparing for the big family gathering on Christmas Eve. We usually start with the Advent Candle decorations. 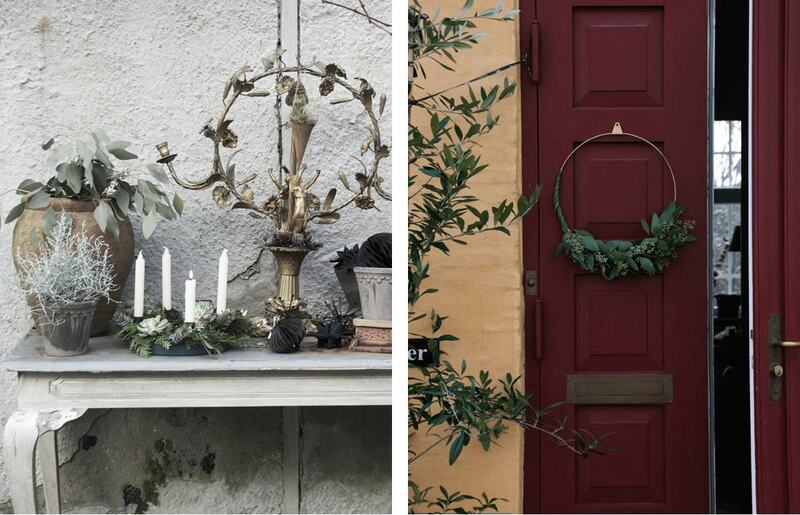 Some stick to a classic Nordic colour palette of cool earthy tones, bits of silver or gold, and natural materials when making their decorations, but others like a more colourful mix. During this time, we light candles as soon as we get home, so you’ll see a glow in the windows of most homes in December. We also like to decorate our door with a stunning wreath. You can either go traditional with fir, berries, and baubles or make a simpler Nordic version and stick to natural elements and colours. If you are out and about there is so much to see. Every town is filled with beautiful Christmas lights that brighten up a dark month, and people often take the kids to look at beautifully decorated windows in the larger department stores. The many Christmas markets are very cosy with lots of tasty treats to buy. When it comes to Christmas, food and drink are (of course!) key, bringing many delicious and much-loved classic recipes. The Danes often make their kids join them in the kitchen; it is hyggeligt but also educational; believe it or not, fussy kids are more likely to eat something they have helped prepare. My family has many traditions. One is that my Father always makes Christmas cookies and chocolate treats with the Grandchildren. They all love it and probably end up with tummies full of chocolate but that’s all part of the fun. Enjoy yours in the Hay Iris Mug Sharp new at Nest.co.uk. 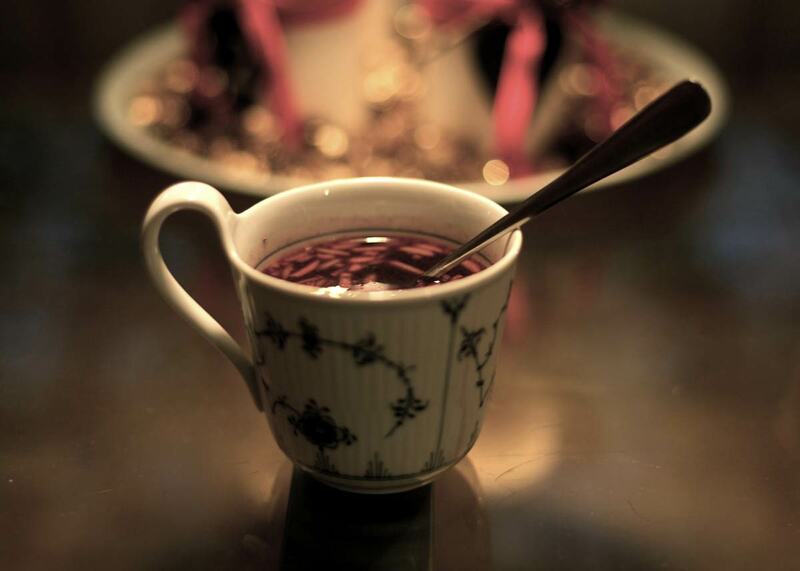 There is of course also Gløgg - a spicy mulled wine with raisins and chopped almonds almost always served with our traditional ‘æbleskiver’ (a small fluffy pancake ball). Gløgg is available at most Christmas events, and if you are not fond of the alcoholic version, many offer a non-alcoholic option, which is also something the children can drink. In December, it is common to give the children Advent calendars either with chocolate, or homemade small gifts. I still remember when I was little; I wouldn’t be able to get to sleep with excitement. Every day I would leap out of bed and run into the hallway to find my next present - pure childhood magic. In my family, we spend a lot of time making small gifts to give to people, as I believe the joy of giving is almost as good as receiving. Our homemade gifts have become more elaborate as the children have grown older, but a gift we make every year is small Christmas ornaments made out of white dolls-clay. These ornaments make for great little gifts or gift tags, and the design and patterns change every year. We date them on the back, so the recipient can see when and who made it. 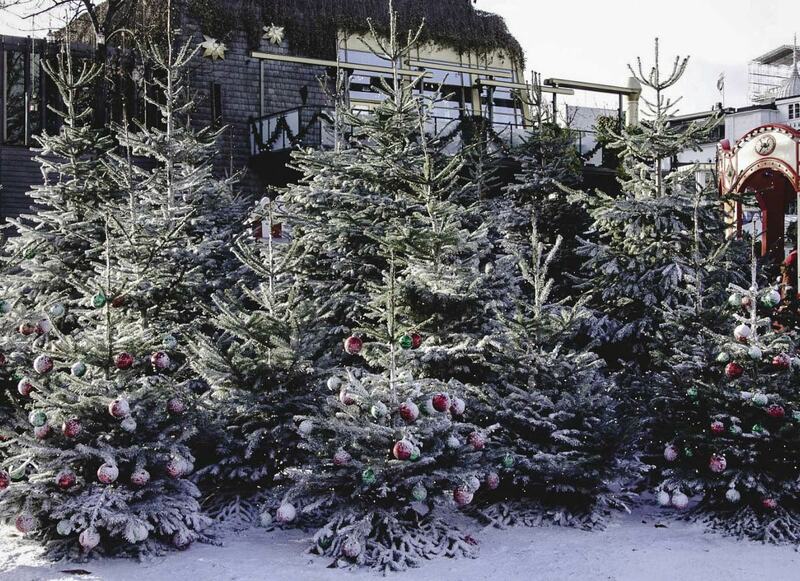 We always have a real Christmas tree, and many farms in Denmark let you go and pick out your own. It is blissful to see the little ones run around and suddenly find the tree they want to bring home. We then leave our tree outside with fairy lights on, and on the evening before Christmas, I take the tree inside and decorate it, so when the children wake up the next day, there is a stunning, magic-adorned Christmas tree in the living room. The Danes are quite traditional on Christmas Evening. Many go to church, and in the late afternoon whilst the parents are preparing dinner, the young ones watch a special Christmas medley of Disney cartoons to keep them entertained until dinner is served. We usually have a big family dinner with traditional food and we often linger over dinner for quite some time. After Christmas dinner, we ‘dance around the Christmas tree’. When I say dance; it is more like walking around the tree holding hands whilst we sing carols. When I lived in London, my friends thought it was the strangest thing to do, but almost all families in Denmark stick to this tradition. The younger children love it. Finally, and by this point a long wait for the kids, we open our Christmas gifts. In my family, we enjoy letting the kids get a gift from under the tree so they can pass it to the right person. The evening is long and of course hyggelig, and we go to bed tired, full of food and with many hours spent together as a family. If you want to capture the essence of Danish Hygge in your own home explore our curated Hygge selection here. Image Credits: Anya, The Simply Danish Living Blog.